Tonight on GeekNights, we talk on a high level about FPGAs and massively parallel computing technology like CUDA or Intel Phi. In the news, LG may have leaked Apple's ridiculous 8k displays, Hyundai is releasing a production semi-automnomous car this year (hot on the heels of similar announcements from other vendors), and Estonia has opened its E-residency to the world! We're back from Anime Boston, and you can expect at least a few weeks of regularly scheduled episodes before Rym heads back overseas! FPGAs! We use 24,000 of them at my work. As someone who also uses FPGAs at work, I am cautiously curious to see how this episode turned out. You say you've never talked about FPGA's before, but I already know about them, and I can't imagine having learned about them anywhere but on Geeknights. So I think you've talked about them before, despite not having an episode named after them. Now to listen to what you say and see if I've heard what you say about them in your words again. Yes, you definitely talked about this topic before, but not in so much detail. Talking of related space, I'm guessing communications satellites are a perfect place for a few FPGAs. Lots of bandwidth, low latency, and the cost isn't an issue compared to the total cost of launching something into space. That's a good point actually. Use cases where you need the hardware chip, but may never again have physical access to that chip to replace it, and where software alone won't do the job. Of course, I wonder how secure against radiation FPGAs are compared to other kinds of chips. Yeah, special chips, but that is a use case. 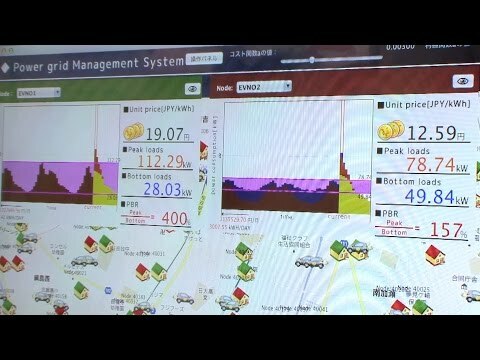 Electric self driving cars, strain on power grid? Not so much perhaps.. There's at least one laptop with an open FPGA, but Novena is pretty special. I worry about a possible false sense of confidence that may come with self driving cars. At least in their current incarnation. I have used some of the technology that allows things like auto adjust following distance. It can be overridden by pressing on the gas. In addition I have seen it try to slam on the break when turning near a telephone pole and had I not been going slow on an empty toad could have caused an accident. It has also done the same if someone cuts me off in traffic on the interstate. I look forward to self driving cars but don't think the dream of hands free eyes off the road driving is here yet. In regards to the Surface Pro 3, it's pretty awesome, the Surface 3 also runs full Windows. Plus it's a real computer and will not censor the Internet while forcing you to look at advertisements and is thinner than a smart watch. FPGAs do sound pretty amazing but I had no idea of how far Intel had traversed down the parallel computing pathway with Phi. (Please people stop using Matlab, it's stupid just stop). I've never coded anything that uses CUDA but for those people who have (or at least have an informed opinion), would Phi be able to scale harder, say if you had a cloud server doing all the computations. If bandwidth were not an issue, could I offload processing data to an offsite server, essentially leaving the client to continue doing other tasks? Have scrym done an episode on HPC? The parallel computing I do isn't with FPGAs or CUDA, but on massive (300k core) MPI machines, and I think it's a very different beast. Is anything in the financial sector using stuff like that? Open Hardware Networking device it uses FPGA too. That's actually another very interesting point. If you want open source hardware, it's very difficult to have chips custom fabricated. But FPGAs are one way that you can have truly open source hardware. Also, if you are super ridiculously paranoid about things, such as governments putting backdoors directly into CPUs, you can use an FPGA and be effectively 100% certain there is no intentional backdoor vulnerability at the hardware layer. At least for the foreseeable future, self-driving cars will probably need to be handled like autopilots on aircraft. Even though international aviation regulations pretty much require airliners to be on autopilot pretty much from the moment the landing gear is retracted on takeoff to just before the plane touches down at landing, pilots are still required to be able to hand-fly the plane should something go wrong. Autopilot software, especially in state-of-the-art airliners, is wonderful for dealing with 99.9% of the situations a plane may encounter. One may argue it's better than humans for those 99.9% situations. However, humans need to keep their hand flying skills for the 0.1% of the situations where the autopilot doesn't work either due autopilot failure, software bugs, sensor issues, or just some crazy scenario that the autopilot engineers never predicted as a possibility. Autonomous cars would also need an alert human to monitor the situation and, potentially, take over driving should something weird happen. I'm wondering if FPGA's would work well for bitcoin mining. I may be wrong but I remember reading that there is a certain level of randomness to bitcoin mining which is why you still might get lucky mining on a low end system. I'm just thinking about having a crazy amount of parallel mining processes hoping one will luck out occasionally rather than a pc with several high end GPU's brute forcing it. If you can design a hardware device that can mine bitcoins and you can program several of those devices onto a single FPGA, then yes it could prove to be very fast. If I'm not mistaken, Bitcoin mining is a rather complex operation, and would be rather difficult to program in terms of transistors. Even if you could, I doubt it would be profitable considering the cost of the FPGAs, the electricity, and the time to develop the program.